My name is Beth Fairley and I live near Falkirk with my mother Fiona. I currently have 3 Anglo-Nubians, having just sold my British Alpine back to my mother! My mother has mostly British Toggenburgs, and we have a Anglo-Nubian and British Toggenburg stud male. We also have various other animals- dogs, cats, ducks and chickens and a guinea pig that lives in the goat shed! Hello everyone, I see that no-one has added anything to this forum! 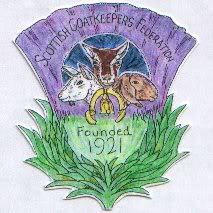 I am Lisa Sinclair, Secretary of the Scottish Goatkeepers Federation. We are usually a very chatty bunch of people. Hoping some of our members will introduce themselves. Hi my name is Diane, had BT's for about a year now. Really loving it. You have some lovely girls there. Where about are you located? I am Daryl Brown and I have been keeping goats for 3 years now (I think thats right). Got into Goat keeping after visiting the goat tent at the Black Isle Show and after making a few enquiries with the Highland Goat Club I ended up taking home my first goats, 1 lovely milker called Clover and two of her BS kids. They are all grown up now and had their own kids in 2008. 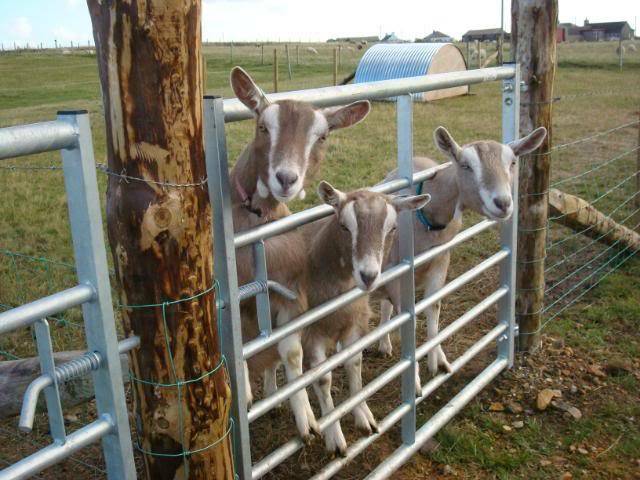 I Currently have 5 goats, 3 in milk but hoping to have the goatlings mated in Autumn 2010. I live 25 miles north of Inverness close to Tain. Hi, I'm Fiona I live in Deeside, Aberdeenshire with my husband and three children. I have 5 pure toggenburgs, (3 milkers, 1 goatling and 1 buckling) One milker is actually on loan to my mum at the moment as she sadly lost her saanan x last year. I've had goats for about 3 years although I had a couple when I was the same age as my children. (The goats were a British Alpine and a white feral type). We also have 2 working sheepdogs my daughters bichon frise and a sheltie aswell as 8 wyandotte and sussex bantams 1 khaki campbell duck and 1 mini silver appleyard duck who thinks its a dog. We live on a farm with my husband farming a mixed farm with cows and sheep. Welcome to the Forum Fiona! Look forward to chatting to you about goats! Good to see you hear! Hi, My name is Claire and I live in East Lothian. I currently don't own any goats but for the past week have done nothing but read up about them- particularly Pygmies! We hope in the future to have some land and our first thought was to have 2 or 3 Pygmies which has been a long standing dream for me- of course now we are looking into the possibility of breeding them and forming a new herd. Exciting times and much planning going on. I hope to be in touch in the future to let you all know how it's all panning out, meanwhile I'll just keep reading and getting as much info as poss! I am Alice. I don't have any goats, live in a small town in a house with no land. I like goats and enjoy seeing your photos. Hello all, just got our first goats and thought I'd say 'Hi'. We live on the far north west corner of the country and have 2 female Saanen goats. We also keep Kune Kune pigs and some chickens.